The Department of Science and Technology has set up three solar tech mission centres in Chennai to efficiently harvest solar energy. The Ministry of Science and Technology (Department of Science and Technology or DST) announced the launch of three centres for solar energy, water treatment, and as a test-bed for solar thermal desalination solutions. The centres are set up at the Indian Institute of Technology, Madras (IITM). The first centre is the DST–IITM Solar Energy Harnessing Centre. It will focus on a wide range of research and technology development activities. 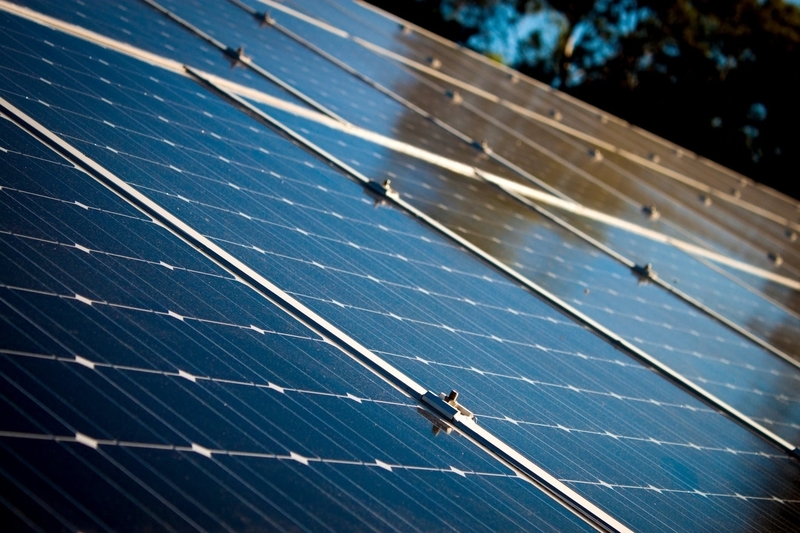 These include high-efficiency silicon solar cells specifically tailored to Indian conditions. The network is made up of scientists from IIT-Madras, IIT-Guwahati, Anna University, and ICT-Mumbai, with more expected to join. Its objective is to create a platform to strengthen the country’s solar research ecosystem. Like most countries that harvest solar energy, India uses solar energy for steam generating systems, air heating, solar photovoltaic systems, etc. The second centre is the DST- IITM Water Treatment Centre (Innovation Centre for Sustainable Treatment, Reuse, and Management for Efficient, Affordable and Synergistic Solutions). The centre will carry out synchronised research and training programs on issues related to wastewater management, water treatment, sensor development, stormwater management, and distribution and collection systems. It is a multi-institutional virtual centre that will explore sustainable strategies for water resources protection and augmentation through wastewater treatment and stormwater management. Experts from allied sectors will collaborate to develop safe, reliable and sustainable sources of drinking water for rural and urban India. The team will address issues like highly polluted water bodies and water-intensive industries through research, technology development, and capacity building. The third centre is a test bed for solar thermal desalination solutions. Its team will deliver customised technological solutions to address prevalent water challenges in the arid coastal village located on the shores of the Bay of Bengal. It will develop tech for potable water to coastal areas through solar-powered forward osmosis (sustainable technology for seawater desalination). Multi-effect distillation, multistage flash distillation, reverse osmosis, vapour compression, nanofiltration, and freezing desalination are some commonly used water treatment technologies in the country. However, desalination comes with issues such as large energy consumption and greenhouse gas emissions. Therefore, the preferred technology is forward osmosis as it is both more sustainable and economical. In 2018, India set a target of 175 Gigawatts (GW) through renewable energy by 2022. According to a report on new energy finance, India ranked second in the world. The country is policy-driven towards implementing renewables and increasing investments in its clean energy sector. It is one of the largest renewable energy investment markets, with US $9.4 billion in new investments in 2017. Furthermore, the country’s renewable auctions market is the largest in the world. Over 11 GW of projects were awarded through auctions in 2017, making it the best year for solar capacity as installations increased by 90%.